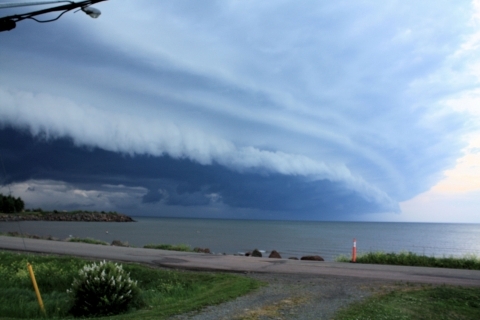 Southeast New Brunswick had its fair share of severe weather this month – thunderstorms with heavy rain, sudden gusty winds and even hail in some isolated areas. The heavy weather caused power outages and property damage but no injuries reported. All of this led to a moist but mild July in Greater Moncton with above normal rainfall (almost twice as much as usual) and slightly above normal temperatures. 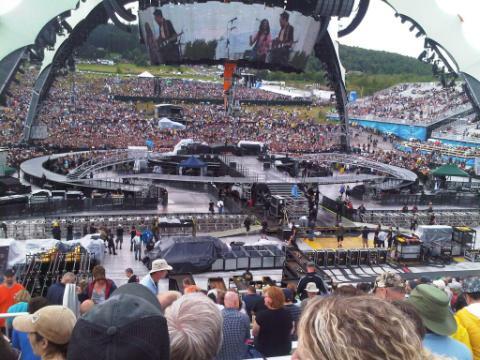 After raining for most of the day, the weather managed to cooperate for the U2 concert on Moncton’s Magnetic Hill – the final stop on the band’s two-year 360 degrees world tour. The rain finally stopped by about 5-pm – not before leaving behind some muck – and the opening bands started playing a short time later. By the time U2 took the stage, the sky was clearing and more than 75,000 fans took to their feet in excitement. The event will likely go down in the books as one of the biggest and best concerts ever staged in Moncton. 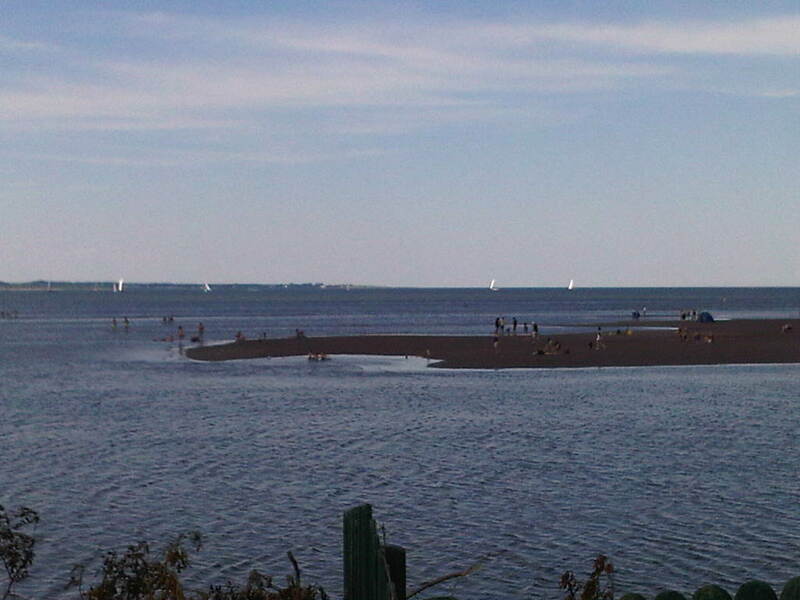 For the first time in 2011, I finally made it to Parlee Beach yesterday. 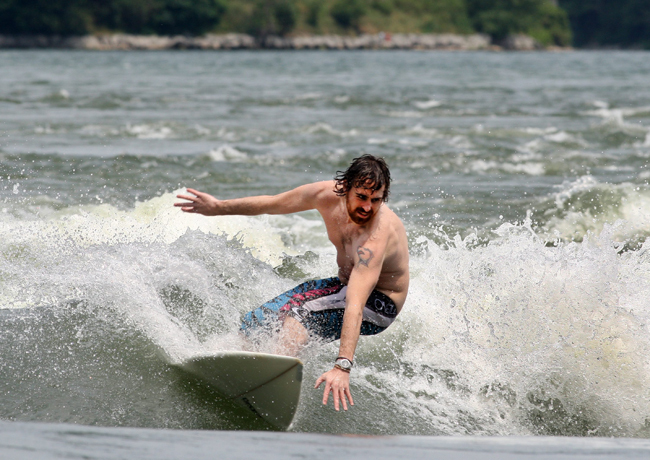 The weather was near-perfect… mostly sunny, light winds, temperature in mid-20’s C and the water was warm. The crowd was quite impressive for a Monday as well but it is vacation season afterall. Extensive work was needed at Parlee Beach this spring thanks to powerful storm surges last December which transformed the shoreline and heavily damaged many boardwalks. Power crews worked Sunday to reconnect almost 20,000 customers who lost electricity when high winds caused outages throughout parts of New Brunswick. NB Power says falling tree branches took down power lines Saturday night. 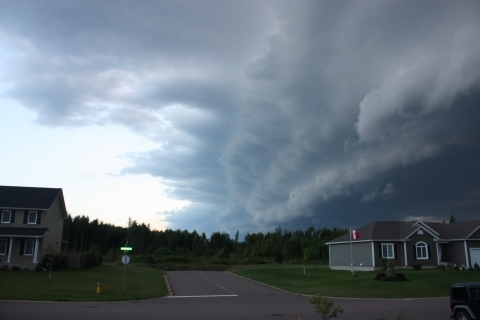 Hundreds of customers were still without power early today, most of them in the Grand Falls area. 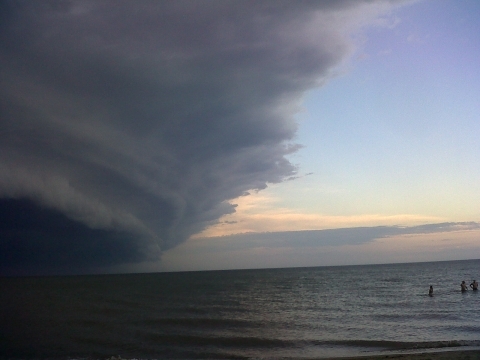 Environment Canada says storm cells formed when a cold front moved through the province. Wind gusts were as high as 90 km/h in some areas. While Moncton reached a scorching 30.4 C on Saturday, the temperature dropped after the storms and on Sunday the high was only 21.2 C.
Finally the recent so-called heat dome over Central Canada moved east and enveloped New Brunswick yesterday. 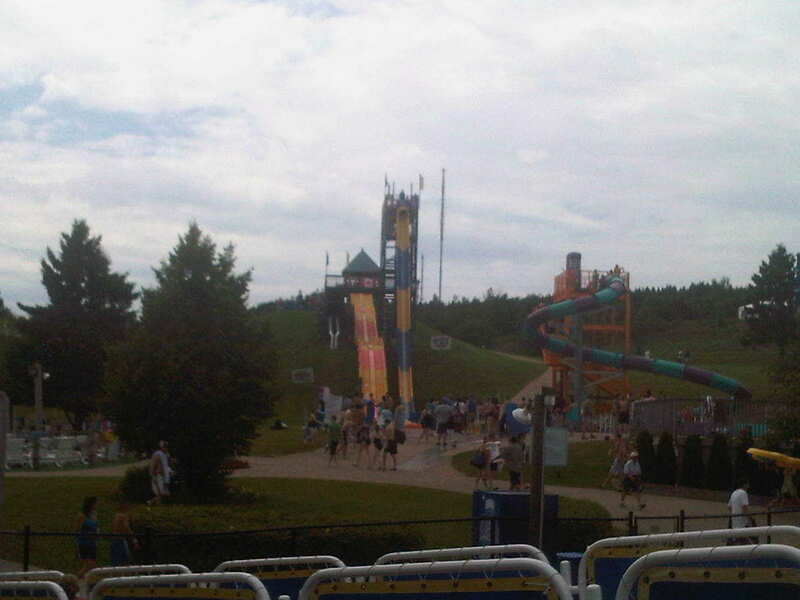 For the second time this month in Greater Moncton, the temperature climbed above the 30 C threshold and rose to 30.4 C.
The hotspot in the province was St. Stephen at 31.9 C with Fredericton close behind at 31.1 C.
Temperatures fell considerably today after a cold front moved into the region and the high in Greater Moncton was only 21.2 C with a provincial high of 24.7 C in Charlo. Toronto’s Pearson Airport was close to setting an all-time record high yesterday but missed it by a fraction of a degree. 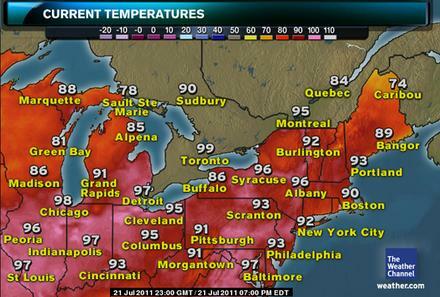 By 5-pm on 21 July 2011, the thermometer had soared to 37.5 C, making it Toronto’s fourth-hottest day ever. According to measurements taken at Pearson, Toronto’s heat record was set Aug. 25, 1948 when it was 38.3 C and records date back to 1937. Toronto also issued an extreme heat alert as the humidex made the city feel like 49 C part of the day and the hottest neighbourhood was reportedly St Clair West Village at 39.1 C.
Several cities in southern Ontario recorded their hottest nights ever as temperatures remained warm through today’s early morning hours. Toronto, for example, fell overnight to a sticky 26.6 C, while the previous record for the hottest night came on Aug. 1, 2006, when the lowest overnight temperature was 26.3 C.
A hot, stationary high pressure area is creating a heat dome effect over central parts of Canada, pushing the jet stream well to the north, and keeping cooler or wetter weather away. Environment Canada is forecasting highs of 34 C for Montreal and Ottawa, 38 C for Toronto and 39 C for Windsor, ON, which with the humidex will feel closer to 50 C.
A heat wave has enveloped much of Western and Central Canada with extreme heat in the Prairies and oppressive humidity in Ontario. Masinasin (near Milk River) in southern Alberta hit 37.9 C yesterday (topping 100 F). Meantime, heat and humidity have engulfed Southern Ontario with temperatures climbing into the low 30’s C and humidex values reaching 40. 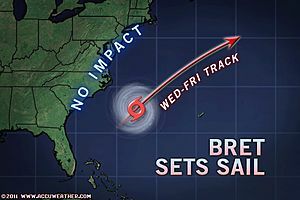 Tropical Storm Bret is not expected to have any impact on the coast of Eastern North America given its current path. However, beachgoers in the American Southeast and the Bahamas are being warned of increased wave action over the next few days. Forecasters predict Bret will steer well to the north and west of Bermuda at this time due to the strengthening Bermuda High. While most of Canada basks in mid-summer heat, New Brunswickers are shivering after several days of below normal temperatures which are more typical of September than July. A cool air mass with northerly winds moved in after severe thunderstorms pushed out a warm, humid air mass Tuesday night. Temperatures did recover somewhat today and are expected to increase dramatically tomorrow with a high near 30 C expected in Southeast New Brunswick.